You are currently browsing the tag archive for the ‘Caylee Anthony’ tag. Did the Government Botch Casey Anthony’s Case? Did prosecutors overlook investigation basics when they let Casey Anthony walk? It is sure beginning to look that way. Judge Belvin Perry finally on Friday August 12th, ordered that Casey Anthony has to return to Florida to serve a year of probation in Orlando for her check fraud convictions. Could this mean that Casey will finally receive some long overdue community justice? After going through a brief cooling off period, I am now clear headed enough to reflect on the Casey Anthony verdict. Did our justice system work? And, should we accept the verdict of the jury? 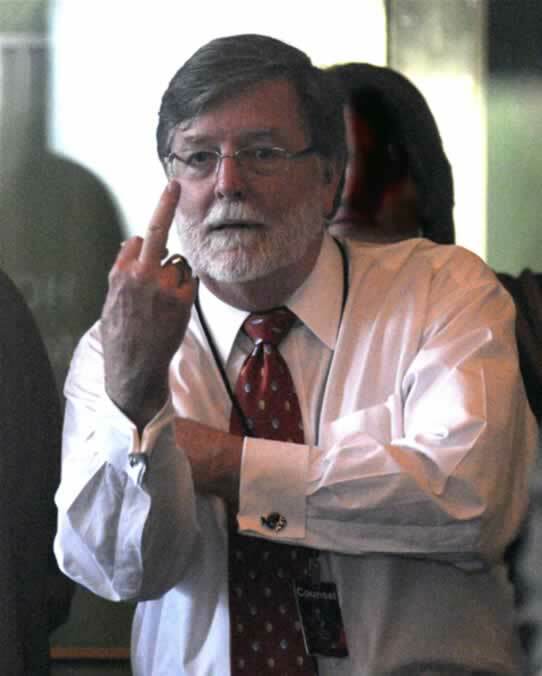 An Associated Press photographer captured this photo of Cheney Mason, Tuesday, through a plate-glass window gesturing towards the ever present Media as the Anthony defense team celebrated their victory. Casey Anthony – True & Correct Verdict? The jury has spoken. The verdict is in. I have refrained from speculating up till now, because it will always depend on how this one set of 12 jurors finally calls it. One could talk hot air forever as to what might happen, could have happened, and probably what should have resulted in a murder conviction. People after all, do NOT like anybody who messes with a helpless and innocent child.